We're going to go out on a limb and say that florals have a special place in Janhvi Kapoor's heart. From movie promotions to red carpet events, she always manages to mix and match the printed staple and make it work for her. At a movie screening which saw plenty of celebrity presence, Janhvi wore a blue toned outfit which florals played the centerpiece of. It was accented with matching accessories for a casual chic look that absolutely any of us could get behind. To try Janhvi Kapoor's look on your next night out, pick these pieces. 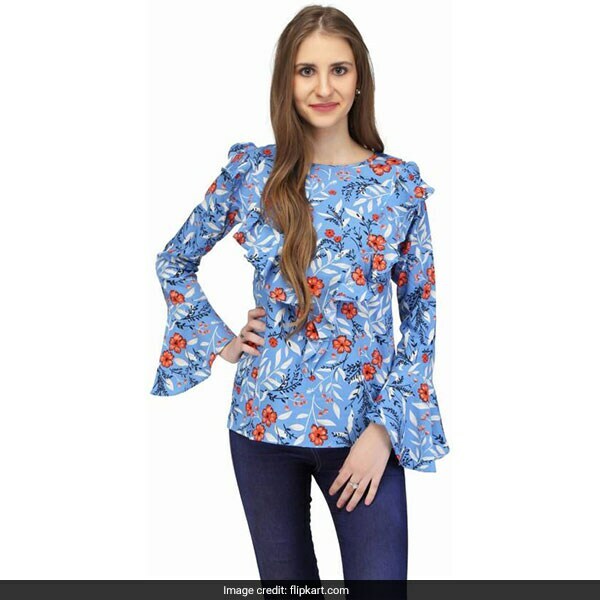 Janhvi's flouncy blue wrap blouse with orange and white floral print was definitely the prettiest part of her outfit. You can get a similar piece with the Karmic Vision Floral Print Women's Top. In an identical shade of blue and white with orange print, it's a great choice. It is available for Rs 559 from Rs 1,499. Shop here. The actress opted for a pair of skinny blue ripped jeans for her bottom wear. For a similar look, try the MK988 High Rise Ripped Jeans that come in dark blue and a skinny fit with distressing over the length. It is available for Rs 1,899. Shop here. Janhvi matched her Chanel bag exactly with her floral blouse. You can too with the Allen Solly Casual Sling Bag. 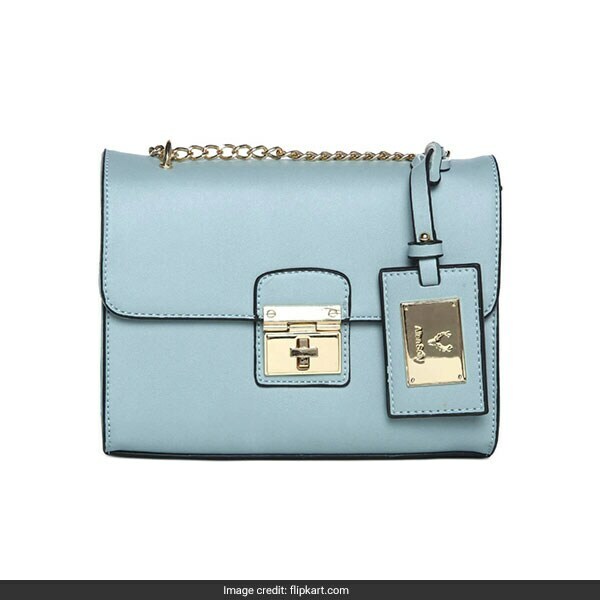 It is light blue with a silver strap and matching hardware. It is available for Rs 1,053 from Rs 2,599. Shop here. Another smart accessory was her coral toned strap heels which matched the floral print on her blouse. 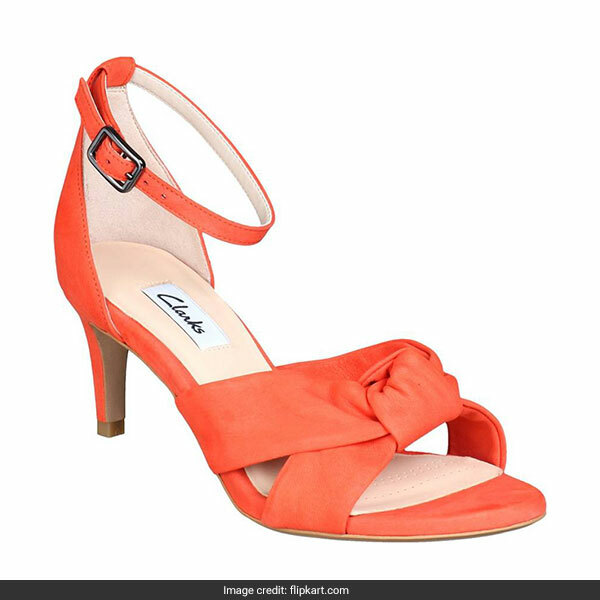 Pair your outfit with the Clarks Orange Heels which come in a similar colour. 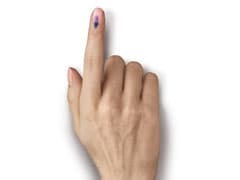 They are available for Rs 2,999 from Rs 5,999. Shop here. 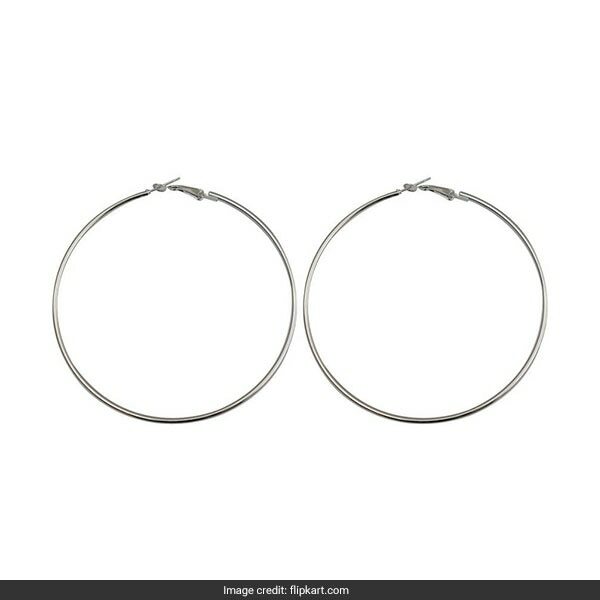 A simple pair of trendy hoop earrings complete Janhvi's look. Get them with the Taj Pearl Designer Hoop Earrings. They are available from Rs 319 from Rs 665. Shop here. When will you be wearing Janhvi Kapoor's look? Tell us in the comments.